In anticipation of their upcoming conference co-presentation, Characteristics for Those Claiming Social Security Benefits Early, at Predictive Analytics World for Government, October 17-20, 2016, we asked Dae Park, Assistant Director at Government Accountability Office (GAO), and Vijay D’Souza, Director at Government Accountability Office (GAO), a few questions about their work in predictive analytics. A: A core function of the Government Accountability Office (GAO) is to use data to objectively evaluate government programs and spending. We both develop our own models and evaluate agencies’ own models to evaluate the effectiveness of government programs. For example, we have completed numerous evaluations of Medicare payment policies to evaluate possible effects on quality and access to care. A: The biggest problem we face is acquiring and validating data from the agencies we audit. Data are provided in multiple formats and often have quality issues. These include duplicate, incomplete, or inaccurate entries, and inconsistencies among records. This challenge is compounded when we merge data from multiple agencies or multiple sources to conduct more sophisticated analyses. A: There is an increasing awareness across our analyst community of the value of predictive analytics to measure the effectiveness of federal programs. This includes training and outreach efforts from our analytics experts to other agency staff. We are also taking greater advantage of open source tools for analytics and developing strategies to increase the amount of staff that can help with the initial stages of data acquisition, evaluation, and preparation. A: We analyzed TSA’s program to detect more risky air travel passengers and determined it was not based on sound evidence. In another case, we evaluated a Department of Transportation program that used a large amount of data to calculate safety scores for commercial trucking carriers and to ostensibly determine the likelihood of crashes. We found that violations used in the agency model either occurred too infrequently to be useful, or were not otherwise predictive of crashes. A: To better understand the circumstances faced by those who claim early Social Security benefits, GAO examined demographic and occupational characteristics associated with early claiming. More specifically, we examined the characteristics and income of early claimers using data from the Health and Retirement Study. I look forward to discussing our findings in detail at the session. 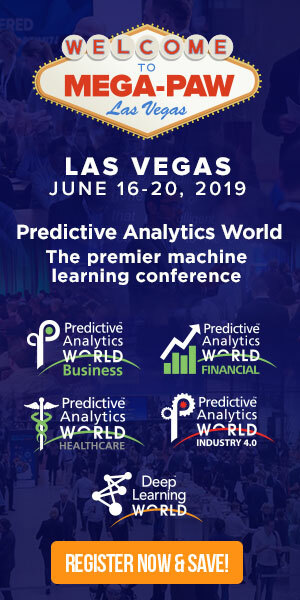 Don’t miss Dae and Vijay’s conference co-presentation, Characteristics for Those Claiming Social Security Benefits Early, on Monday, October 17, 2016 from 11:25 am to 12:10 pm at Predictive Analytics World for Government. Click here to register to attend. USE CODE PATIMES16 for 10% off current prices (excludes workshops).